Both part of Royal Caribbean Cruises Ltd., Azamara Club Cruises and Celebrity Cruises offer different cruising experiences. The price point, service and inclusions for Azamara are slightly those offered by Celebrity. In addition, the sizes of the ships are vastly different; Azamara's two vessels, Journey and Quest, carry only 700 passengers, while the bulk of Celebrity's ships range from 2,158 on its Millennium-class ships to 3,046 passengers on Solstice-class vessels. Still, on a recent Azamara cruise, we found many passengers who had cruised Celebrity -- and still do. Members of Celebrity's Captain's Club have reciprocal benefits in Azamara's Le Club Voyage and vice versa (although the number of sailings can't be combined). Both ships also offer niceties such as a glass of sparkling wine when you board, a cool towel or hot drink when you return from port, non-smoking casinos and butler service in the suites. Curious about what makes the two lines different? 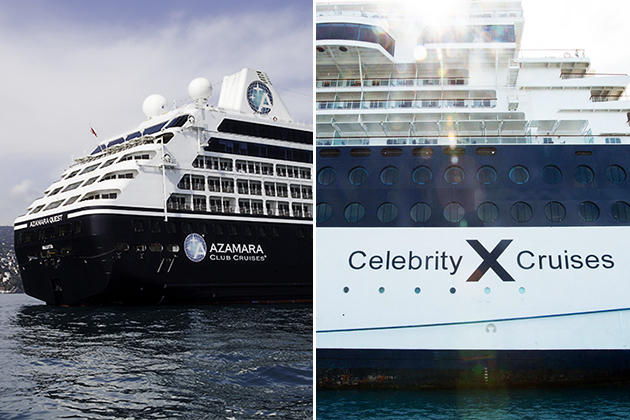 Read on for our look at Azamara versus Celebrity. As with all cruises, it's hard to compare Azamara and Celebrity on price, as the fares can vary by itinerary, sailing date and cabin category. Generally speaking, the entry-level price for Celebrity is significantly lower than for Azamara; Azamara interior cabins start at the same price as a Celebrity Aqua Class cabin. Expect to pay as much for an Azamara veranda cabin as you'd pay for a Celebrity suite. Choose Celebrity if you like value adds. Celebrity tends to wrap its fares with various levels of extras. 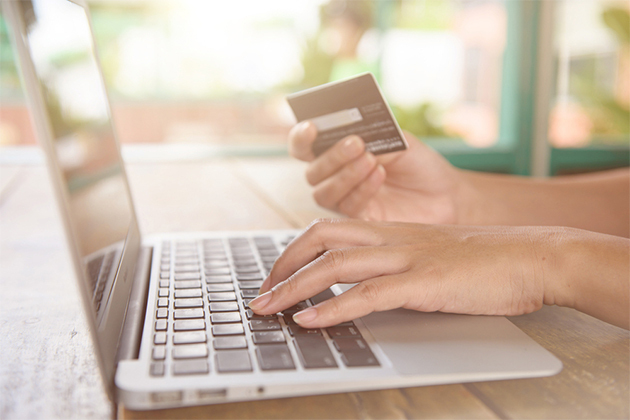 The Go Big, Go Better, Go Best promotions allow passengers to choose whether they'd like Wi-Fi, gratuities, onboard credit, a drink package -- or all of the above -- in their fare. Choose Azamara if you want to be upgraded. Azamara offers cabin upgrades through its loyalty program -- and sometimes will call passengers before the trip with special double upgrade offers. Choose Azamara if you like small ports. With no designated homeport, Azamara's ships travel the globe, often stopping in ports that are off the beaten path and inaccessible to larger vessels. 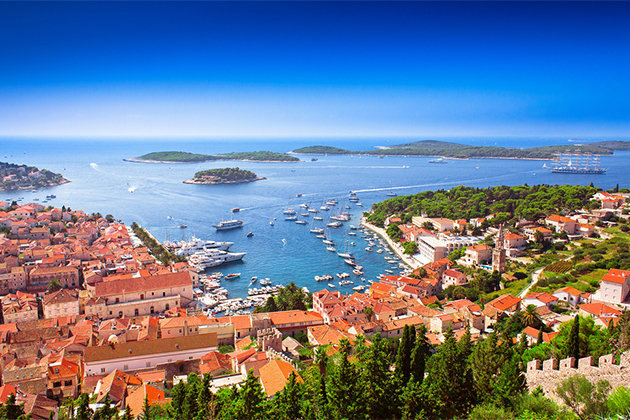 A Celebrity ship might limit its Croatian calls to Dubrovnik, but an Azamara cruise might include Split, Zadar, Hvar and nearby Montenegro on the same voyage. Or you like one-of-a-kind experiences. Held once per cruise and complimentary, Azamara's Azamazing Evenings set out to give passengers a cultural experience that reflects the destination. Examples include a classical music concert in Ephesus or an homage to the Big Band era in Cherbourg. Or you relish lots of time in port. Azamara ships regularly stay in port for longer than eight hours, making it possible to have dinner on land. (The line brings in local tourism board reps who can make restaurant suggestions, and also has a list of recommended places to eat in its Cruise Global, Eat Local program.) The line also makes more overnight stops than its competitors, allowing passengers to take in the sunset or stay out late. While Celebrity has started offering more overnights in Europe, Asia and the Caribbean, most of its ships keep the standard eight-hour port stop. 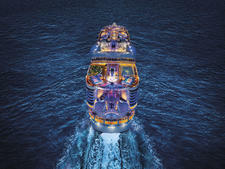 Choose Celebrity if you prefer shorter, round-trip cruises. Celebrity bases its nine ships (not counting its expedition vessel, Xpedition) at major ports around the world, on a seasonal basis. So you'll be able to take round-trip voyages out of cities such as Barcelona, Vancouver, Rome, Miami, Bayonne and Southampton -- even Abu Dhabi. Celebrity also has shorter itineraries, making them better for Americans who are still working. Or you want to go to the Galapagos. Celebrity bases one ship, the 90-passenger Xpedition, in the Galapagos year-round. 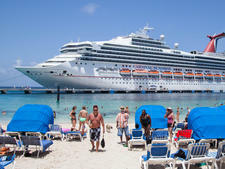 It's the only mainstream cruise line that has a presence in the islands. So if you're looking to see the Galapagos via a larger ship, as opposed to an expedition vessel with a few dozen passengers, Celebrity is a good choice. Choose Celebrity if you want more cabin choices. Besides the typical interior, oceanview and balcony cabins, Celebrity's ships have a variety of other classes, and each comes with its own level of perks, such as Concierge, Aqua and Suite Class. Even within Suite Class, for example, you have still more choice, as the entry-level Sky Suite doesn't have the same perks as a Celebrity or Royal suite. What this means is you'll find a wider variety of price points on a Celebrity cruise than on Azamara. Celebrity also has family suites. For more on Celebrity cabin categories, see Aqua Class vs. Concierge Class. 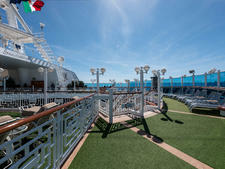 Choose Azamara if you like a nice-sized balcony. Both Azamara ships will undergo renovations in 2016 that will drastically overhaul their cabins. One thing that stands out among the balcony and above cabins is the sheer size of the veranda. The line has made sure there's enough room to put a regular-sized table out there, so you can enjoy a civilized breakfast or dinner alfresco. Choose Azamara if you are traveling with adults. The atmosphere onboard Azamara is decidedly grown-up, with few announcements, plenty of tables for two and no silly activities near the pool. Azamara ships have no kids club, pools or special facilities dedicated to the younger set. While some families do choose the line for trips, they are usually composed of older teenagers or adult children traveling with parents. Choose Celebrity if you are traveling with kids. 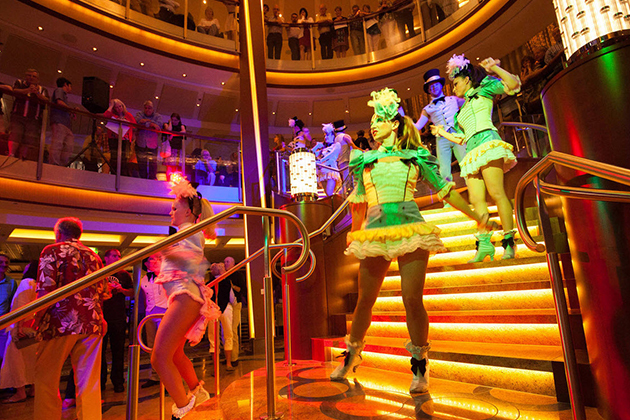 Although not as child-friendly as other lines such as Carnival, Royal Caribbean and Disney, Celebrity does have dedicated spaces for kids clubs and teen activities. They also have family suites, as well as connecting cabins. 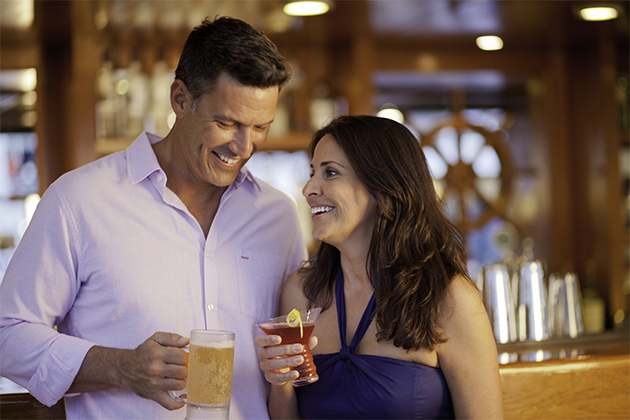 Choose Celebrity Cruises if you like lots of entertainment choices. While they aren't the biggest ships out there, Celebrity's vessels are large enough that there are plenty of entertainment options in the evening. Between live music playing in multiple venues, evening trivia contests, a disco, interactive theme parties and two production shows per evening in the theater, you'd be hard-pressed to become bored. Expect the action to go until 1 or 2 a.m. 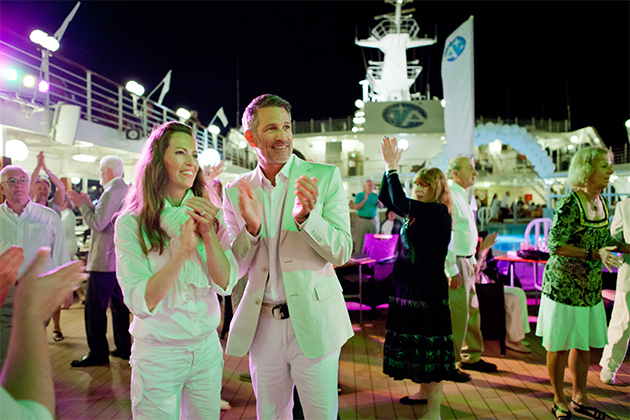 Choose Azamara Cruises if you like quieter evenings and smaller cabaret shows. The Cabaret Lounge is the ship's main entertainment venue, and it's not a big space, even by small-ship standards, lacking even a standard stage. Elsewhere on the ships, there's not a ton of music. While the Looking Glass Lounge serves as the ship's disco, very few people actually dance and it's rarely full. Don't expect to party hearty here; most people are in bed by 11 p.m. or midnight. Choose Azamara if you want some alcohol included in your fare. Azamara includes house wine, and some brands of beer and spirits in your cruise fare, as well as soda, nonalcoholic drinks and bottled water. While you'll pay extra for fancy martinis, a regular one is on the house. Choose Celebrity if you prefer drink packages. 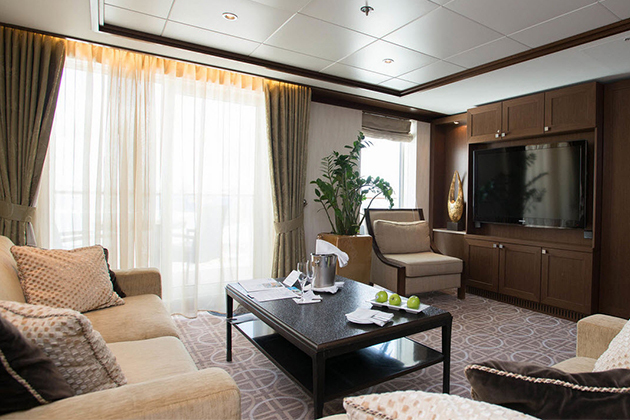 Choose Azamara if you like understated decor. Azamara's two vessels, Quest and Journey, have been outfitted to look like an upscale hotel, with lots of creams and wood paneling. The effect is classic, not flashy. Note: Azamara is refurbing both ships extensively in 2016 with a more modern design. Choose Celebrity if you like things modern and arty. 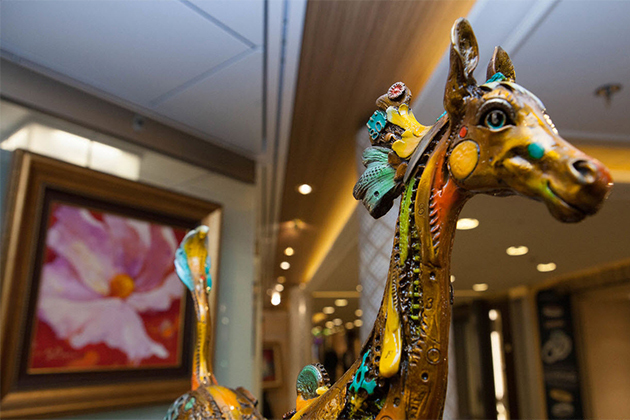 Celebrity is justly proud of the art collections it has on its Solstice-class ships; so much so that you can borrow an iPad from the front desk to tour the collection. The line is also more whimsical in its decor, while still managing to look sophisticated. This category is hard, as both Celebrity and Azamara receive high marks from passengers within their category. Both lines have a variety of restaurants, both included in the fare and for an extra fee. On both lines, we found that specialty and class-specific restaurants offered a better experience than the main dining room. 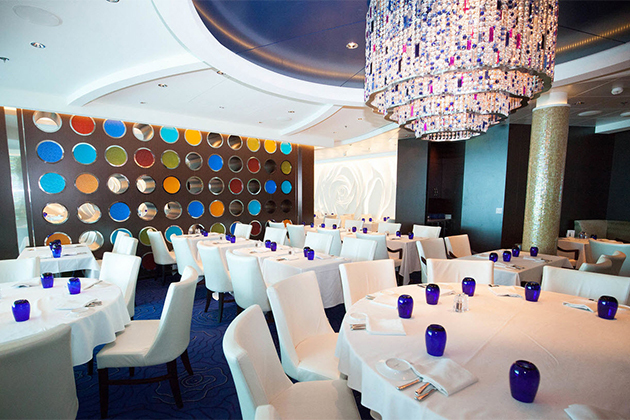 Choose Celebrity for the "class" restaurants, Blu and Luminae. These restaurants -- perks for Aqua and Suite Class passengers, respectively -- are worth the upgrade. Better service, fewer people, a nicer atmosphere and, in the case of Luminae, more complex and creative dishes -- sign us up. Or for its trendier fare. Besides having Qsine, a restaurant serving whimsical bar food, Celebrity overall seems to keep up with modern food trends more than Azamara. Or for fun food, wine and beer events. Besides partnering with the popular TV show Top Chef, Celebrity woos foodies with regular wine events and tastings throughout the cruise. 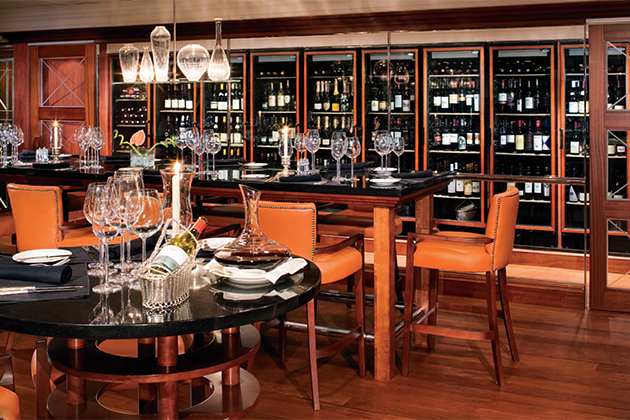 It also has bars, CellarMasters and Gastropub, which are solely dedicated to wine-lovers and craft beer snobs. Choose Azamara for its buffets. Despite the sheer size of Celebrity's Oceanview Cafe, Windows takes the award here, with tasty theme nights, white tablecloths and globe lighting that transform the space into a real restaurant. Add in the special White Night buffet and Sea Day Brunch (dim sum! ), and it's a shut-out. Or for its steakhouse. Prime C not only focuses primarily on having a steakhouse experience (as opposed to Celebrity's Tuscan Grill, which dilutes it with Italian), but its location at the ship's aft makes dining here a night to remember. Or for its chef's tables. 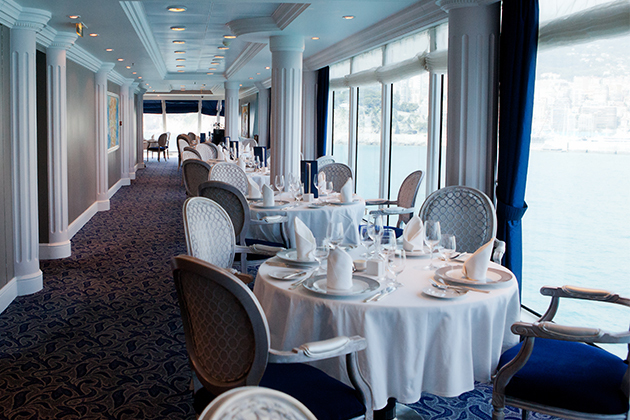 Azamara has not one, not two, but three different chef's tables available during its cruises. 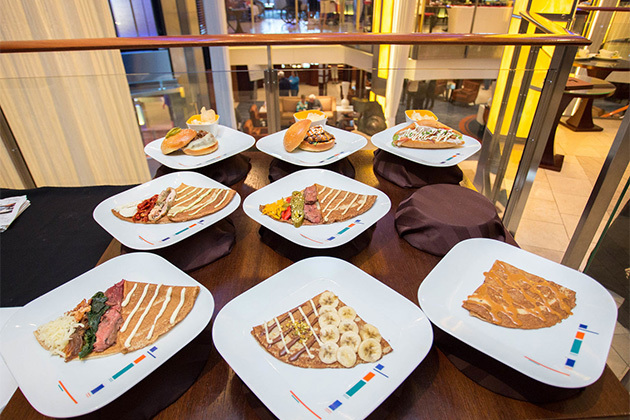 The Italian, French and California-themed cuisine come with wine pairings that are better and more thought out than what we've seen at similar events on Celebrity. Or if you want to try all restaurants onboard. Unlike Celebrity, which has special restaurants just for certain cabin-class passengers, Azamara opens its specialty restaurants Aqualina and Prime C to everyone. What's different is that Azamara suite passengers can eat in those restaurants every night, without charge, while regular guests have to pay $25 each time.